Looking for a quality item to help raise money for your school or team? Foam cushions have a long life, are handy to use and store, allow a place for supporters to advertise on the reverse side. 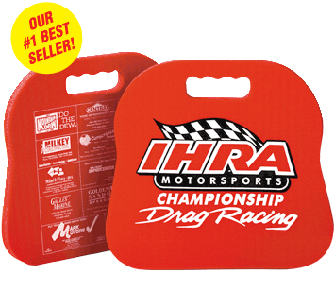 With 3/4″ thick base, the Therm-A-Seat Foam cushion makes a great fundraising item for booster clubs or teams. Get sponsors to pay for an ad on the back and if enough are sold, the sales result in pure profit. Time honored idea to avoid bleacher bottom. Save seats at a game with foam cushions. One color, one side imprint, min 100 cushions 5.98 ea., 4.91 ea at 300, 4.50 ea at 600, 4.26 ea. at 1000 or more. 2nd side set up is 45.00 per side and 2nd side imprint 79 cents ea per cushion, one color imprint. Factory can prep art for backside at 85.00 per hr. Font must be bigger than 6 pt on backside to print clearly. 13 X 14″ with a 10 x 10″ imprint area. 14 colors including: Red, royal, forest, black, yellow gold, dark gray, ivory, purple, maroon, orange, brown, sky blue, navy or light gray. Item A686.